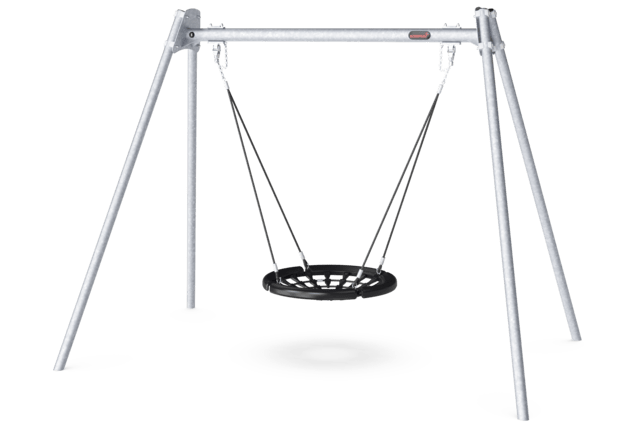 Of all the play activities, the bird's nest swing is the favorite: children love it, as it can be done individually and together. A great facilitator of fun rough-and-tumble play. The seat caters for multiple users of all abilities and most ages and makes it a thrilling, swinging common experience. Day after day, for hours and hours. 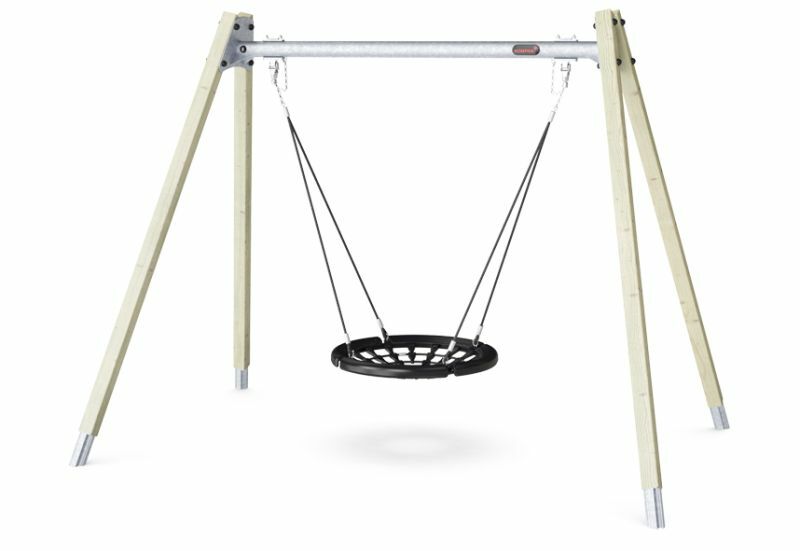 Swinging, apart from being tremendous fun, trains the children's ABC: agility, balance and coordination, as well as their spatial awareness. These motor skills are crucial to being able to judge distance and navigate traffic safely. 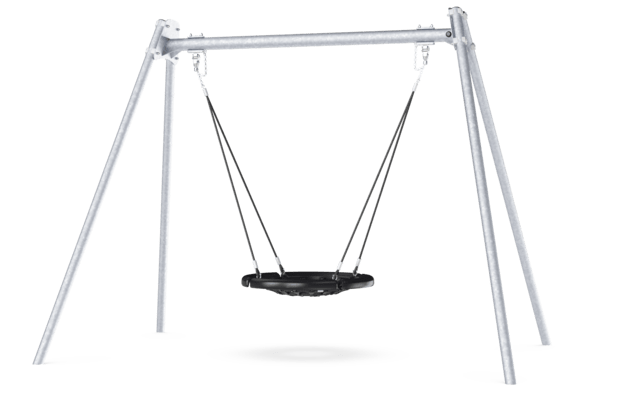 Swings allow for standing sitting, lying ? and not least jumping off. All these activities train the arm, leg and core muscles. The jumping off builds bone density ? the majority of which is built up during the first years of life. 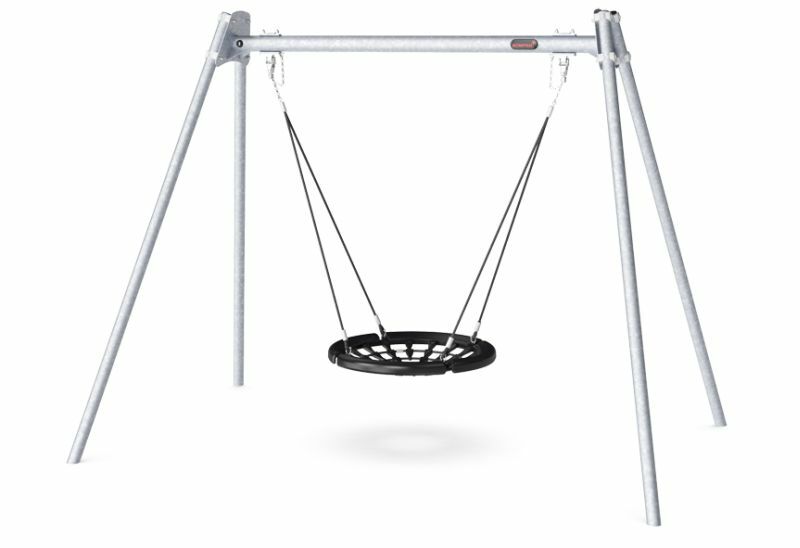 Finally, this swing supports social skills such as turn-taking, cooperation.